If you haven’t yet considered using VoIP for your home phone service, you may not realize how much you can save by switching to a residential VoIP service. VoIP telephone service providers can sell their service for much less than a traditional telephone service provider because of how VoIP works. There are lots of advantage to a residential VoIP service. 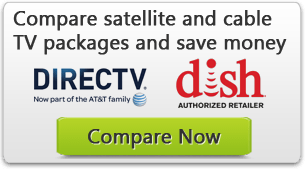 Check out our comparison chart below to read about several residential VoIP service providers and find how much money you could save by switching to a VoIP telephone service. Why should you switch to a residential VoIP service? Exactly how much could you save by switching to a residential VoIP service? Consider the following: if you were currently using Comcast’s Local With More residential telephone service (which is actually digital system, but it still relies on old analog infrastructure), you would be spending $34.95/month for unlimited local calling plus $0.05/minute for long distance calls. With a Freedom Unlimited residential VoIP plan with Phone Power, you would spend $5.99/month for unlimited local and long distance calls. In addition, calls made between two phone numbers with the same VoIP provider are usually free. So if you can get your friends or family members to get a VoIP system with the same VoIP service provider, you can talk with them for free. Some residential service providers give you the option of signing a contract, but it’s usually not required. When you sign a contract with a telephone service provider, you are agreeing to pay for a certain term of service, usually a year. You are obligated to pay the full amount even if you aren’t satisfied with your service. With a VoIP service provider, you can decide to pay monthly. This means that you can cancel service at any time if you are unhappy. However, if you are willing to prepay for a year, rates are usually much lower. For example, residential service with VoIPo costs $149 for a 2 year prepaid plan, which is equal to $6.21/month. Normally, residential VoIP services cost closer to $15 or $20 a month (without a contract). You will have to read through particular VoIP plans to see which features are automatically included in a VoIP service provider’s residential plan. Many other telephone companies will try to charge you extra for these features. For example, if you were using Comcast’s Local With More plan that we mentioned above, you would have to pay an extra $3.95/month for an online voicemail service. If you have ever had to make an international call, then you know how expensive and complicated it can be to use a traditional telephone service for international calling. With most traditional telephone companies, you can either buy a specific international calling plan in addition to your residential calling plan, or you can pay by the minute for international calling. Even with an international calling plan, calls can still be extremely expensive with a traditional telephone company because it is so hard to send analog calls over such a long distance. For example, a call to China with Verizon costs $2.49/minute if you don’t have an international calling plan. But even if you do have Verizon’s International Long Distance Value Plan, which costs $5.00/month in addition to the cost of your residential phone service, you would still have to pay $0.13/minute. With a residential VoIP service provider, you usually don’t need to buy a separate plan in order to use international calling. For most residential VoIP providers, you just pay a few extra cents per minute for international calling. For example, a call to China with Phone.com costs $0.039/minute. The performance of your residential VoIP system is based on the speed of your Internet connection. If you have a slow connection or limited bandwidth, you may not be satisfied by your VoIP phone service. You will need a computer to set up and install your VoIP system (and also to interact with the VoIP provider’s website). You can also use your computer to make phone calls, and if you have a webcam, you can use your PC to make video calls. Sound quality is very good with VoIP systems, especially if you switch to digital phones. Some customers have complained about sound quality when using analog phones with adapters. If you are going to use an analog phone, you may hear some static or buzzing during your VoIP phone calls. If this bothers you, you may want to switch to a digital phone. With a traditional telephone service, it can be complicated to install a landline service, especially if the telephone company needs to install a new telephone pole or line. But with VoIP it is very easy to install service in your home because it is really just a matter of turning on your service and plugging in your phone. Your VoIP service is unaffected by downed telephone lines because it is supported by the Internet instead of a telephone connection. However, VoIP can’t always be used in a power outage, so you may need to buy a battery or some other backup power source for your VoIP system (your phone and your Internet setup). While VoIP is a great choice for most people, you should take into account some issues of the VoIP system before making the switch.